Demand for top-quality workspace in Phnom Penh is increasing, so much so that property firm Knight Frank has labelled the capital as the fastest-growing city for rented prime office space in the entire Asia Pacific region. 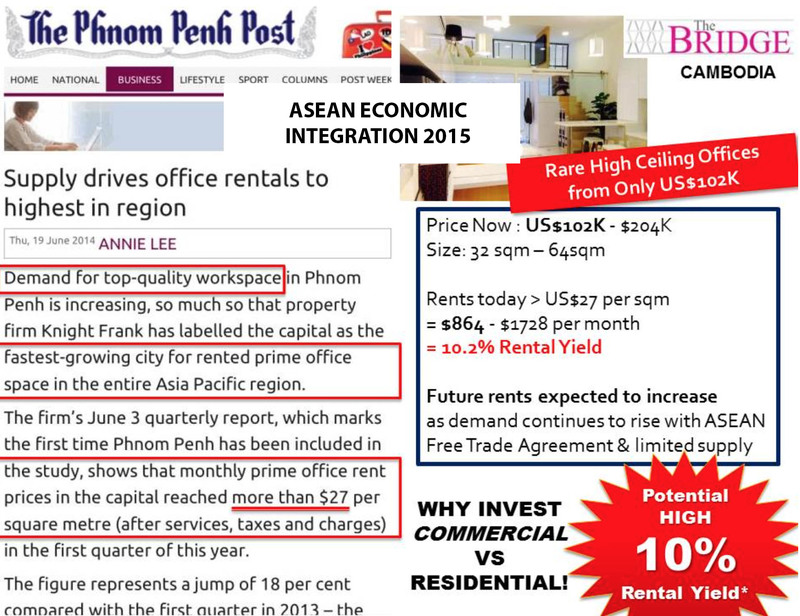 The firm’s June 3 quarterly report, which marks the first time Phnom Penh has been included in the study, shows that monthly prime office rent prices in the capital reached more than $27 per square metre (after services, taxes and charges) in the first quarter of this year. The figure represents a jump of 18 per cent compared with the first quarter in 2013 – the highest of the 20 nations included in the report. Tokyo and Singapore, two of the world’s largest business centres, recorded a 6.2 per cent and a 3.6 per cent increase respectively in office space rentals. Vacancy rates in the Phnom Penh’s prime office market, meanwhile, dropped 5.5 per cent during the first quarter of 2014, according to the Knight Frank report. Ross Wheble, the country manager at Knight Frank, said the only two prime offices in the city included in the analysis – Canadia Tower and Phnom Penh Tower – provide more than 40,000 square metres of rental space. “The reason for the big increase [in Phnom Penh] is that the two buildings are with occupancy rates of around 93 per cent,” he said, adding that total supply of office space in Phnom Penh is currently 183,000 square metres. 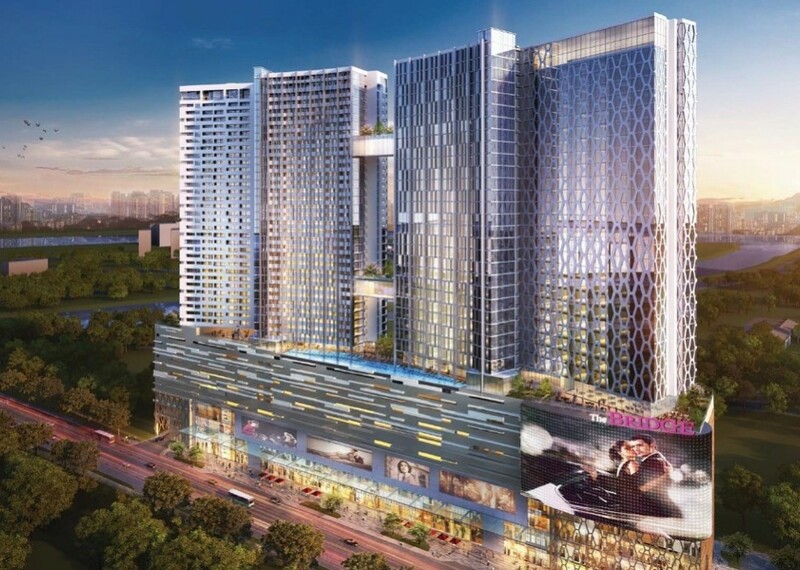 Wheble said with ASEAN integration due in 2015, more and more international companies would be scouring the Kingdom’s capital for Grade-A office space. 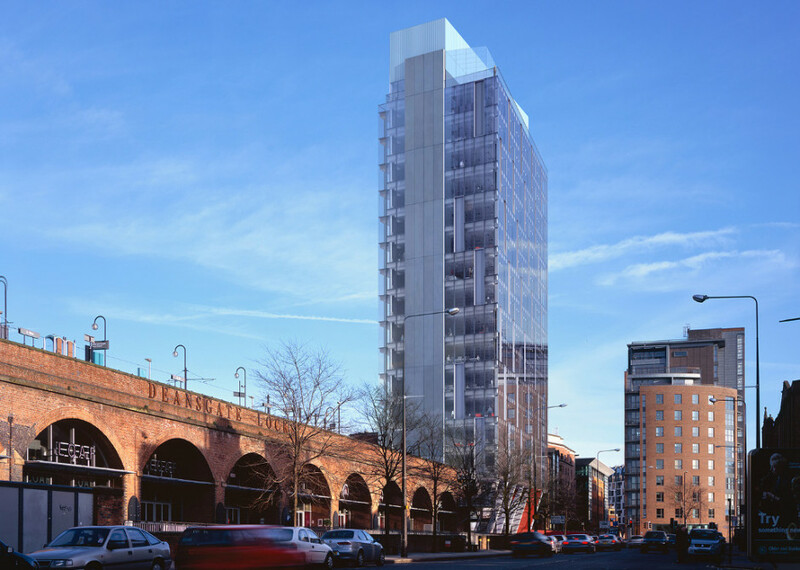 Prime office space is graded by a number of factors, principally location, but also according to the quality of the construction and the amenities the building offers, such as parking, maintenance and office management. Phnom Penh’s shortage of genuine Grade-A prime office space has long been considered a problem, but the shortfall is gradually being compensated by developments such as Vattanac Tower, which opened recently and already has tenants. Chris Hobden, surveyor and analyst at commercial real estate firm, CBRE said the opening of the 39-floor Vattanac Tower on Monivong Boulevard, which opened last week, could prompt new demand in the office rental market. “The delivery of Cambodia’s first truly Grade-A office building has led to new levels of achieved rent, with demand driven by new international entrants in addition to established domestic companies,” he said. According to Chrek Soknim, the deputy director of VTrust Property Company Limited, Grade-A office prices range from $13 to $27 per square metre, with Grade-B ranging between $8 and $13 per square metre. For Grade-C office space, prices start at $8 per square metre or lower. “Grade-B office space is the most popular due to the affordable price for a comfortable working environment,” Soknim said. Knight Frank forecast Phnom Penh’s office rental market to continue on the upward trajectory for at least another 12 months. Other cities with optimistic outlooks included Jakarta, Tokyo, Singapore, Bangkok and Ho Chi Minh City. Where Should I Invest in Phnom Penh, Cambodia?